In this captivating debut, Belfast native Stephen Rea crafts a story of sportsmanship and strength built around an unusual pub soccer team in the heart of New Orleans. Set against the dark backdrop of Hurricane Katrina, this luminous and infinitely inviting memoir traces the affecting stories of Rea and his hilarious and dynamic friends and teammates. 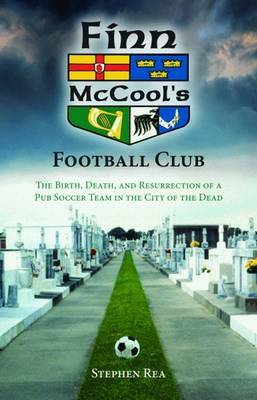 Comprised primarily of ex-pats over the age of 35, Finn McCool's Football Club boasts a dynamic mix of idiosyncratic personalities. From Macca, the team's Scottish coach and a hard-drinking ex-professional player, to its outspoken South African landscape gardener/striker Benji, each character comes vibrantly to life in Rea's fresh and frank prose. Hilarious moments and poignant reflections shine with equal intensity throughout this multifarious work, which captures the individual experiences of the Finn's players in the wake of Katrina. A literary memoir, soccer story, and tale of survival and resolve, this work is an indefatigable tribute to a city and its residents who determined to play on after their lives were all but washed away.